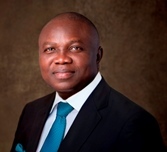 A new law, Land Use Act Title Documentation Regulations that permits prospective applicants who bought land from the customary owners to obtain Governor�s Consent instead of private Certificate of Occupancy has been passed into law in Lagos State. The Law, Land Use Act Title Documentation Regulations, 2012 covered by Section 34 of the Land Use Act was signed by the erstwhile Lagos State Governor, Mr.Raji Fashola. The new regulation, according to the Governor frowned at applicants procuring a backdated receipt, saying anyone who engages in such act shall be prosecuted. The Governor further explained that instead of private Certificate of Occupancy, vendors only need to obtain Governor�s Consent to the transfers/transaction in line with the new regulations. Accordingly, interested applicants are expected to submit application form obtained from Lands Bureau, Alausa, Ikeja, accompanied with Land Information Certificate, Transfer of Interest Documents, and purchase receipts showing the actual date of purchase, survey plan and necessary statutory fees.